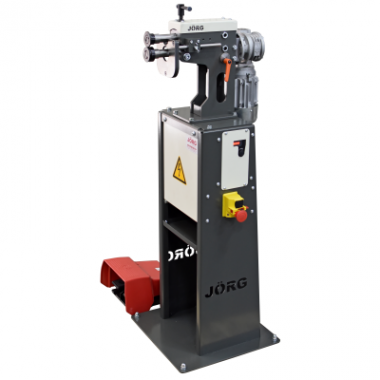 A compact swaging machine with variable speed, of trusted Jörg quality. Fully welded steel construction. All parts are carefully crafted. Made especially ridged and reliable. The lower shaft is axial adjustable for the alignment of the rolls. The upper shaft can be adjusted to the desired profile depth. The stand offers space to store some rolls in. 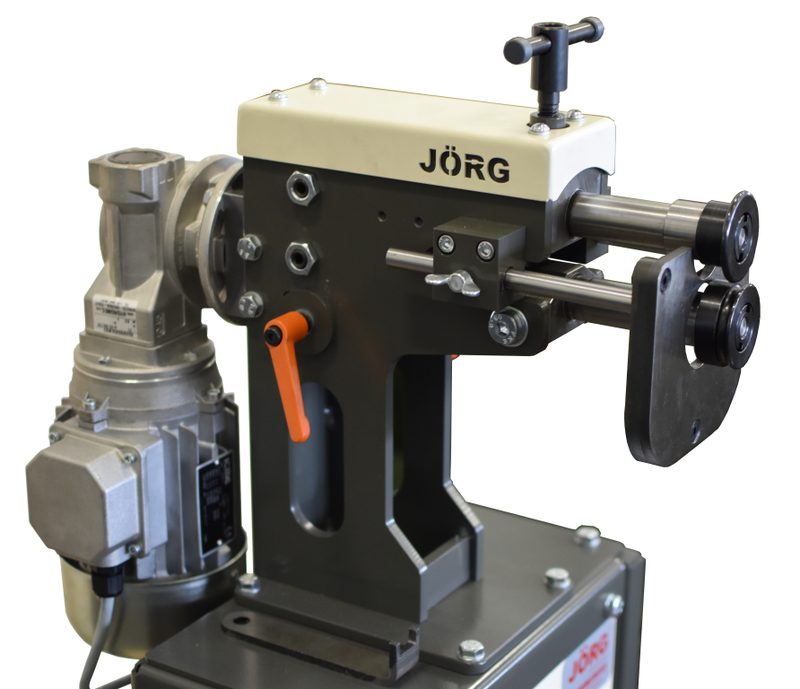 Rolls of the precursor, the JÖRG model 5300, are compatible. With a 230 Volt connection, allowing it to be used in the workshop and on the job site.